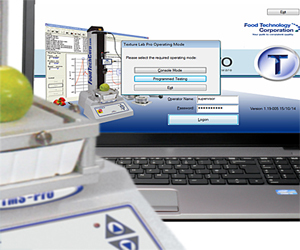 The TMS-Pro is the flagship of the FTC line of food testing texture analysis instruments. When the application calls for precise force, position and speed control, the TMS-Pro is unsurpassed. The Pro was designed as an affordable alternative texture analyzer to the very high priced test systems offered by competitors. With a capacity of 2500 Newtons, (550 lbs.) in compression or tension, the TMS-Pro can handle the toughest applications. The system comes complete with the Texture Lab Pro (TL-Pro) software package and any size load cell of your choice. The TMS-Pro texture analyzer accepts the full and expanding line of FTC test cells including the industry standard, FTC Kramer Shear Cell as well as fixtures from our competitors. Best of all the TMS-Pro is backed by FTC's 40 years of food texture measurement experience, applications development and legendary customer service. 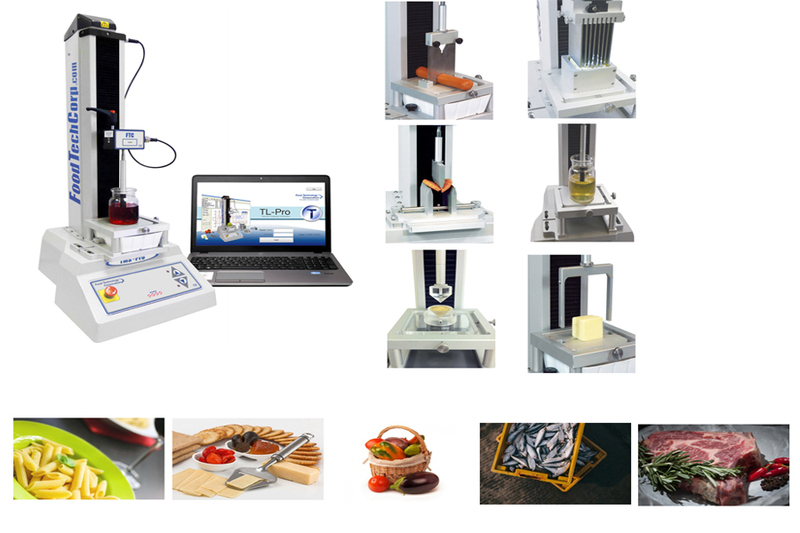 TEXTURE PROFILE ANALYSIS (TPA) is fully automated with Texture Lab Pro Software for foods and materials to measure TENSILE STRENGTH, GEL STRENGTH, ELONGATION, HARDNESS, FRACTURABILITY, COHESIVENESS, SPRINGINESS, CHEWINESS, GUMMINESS, RESILIENCE, AND ADHESIVENESS. The TL-Pro software offers real-time graphic display so one can “see the test” as it is being run. A powerful instruction set support almost any test methodology you can think of. Cyclic test, Texture Profile Analysis (TPA), single stroke, etc. are all easily set up and executed. A powerful instruction set support almost any test methodology you can think of Cyclic test, Texture Profile Analysis (TPA), single stroke, etc. are all easily set up and executed. Test configurations are saved in a library for instant recall. With an unmatched load cell data acquisition rate up to 16000 samples per second, high frequency data capture is no problem.